As all of us who use keys know they are good at keeping people out, but sometimes they keep the owners out as well. Locking your self out is a common experience for most of us, and getting back inside the easiest way is a job for Dr Lock Locksmiths. We have highly trained staff that can come to you day and night and unlock your door the easiest way; normally the best way is by lock picking or lock manipulation. Our methods are designed to open the door without damaging the door, in the event that lock parts need to be changed to gain access, our locksmith can do the neatly and quickly leaving so signs that the lock has been altered. Because our locksmith are highly trained our secures rate for opening normal standard locks without extra cost or replacing lock parts is above the 90% range. 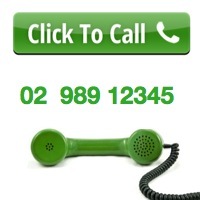 So next time you forget your keys in your home or unit call our locksmith to get you back inside. It’s not worth the risk of climbing over balconies and scaling high-rise building when our lockout service is their to help for that exact reason, to get you back inside. An emergency locksmith is a locksmith that works outside of normal business hours most of the time. The difference between a standard locksmith and an emergency locksmith is the time they take to respond. Unlike ambulances and police, locksmiths are not able to use flashing lights and bypass traffic. This means that locksmith can only respond as fast as the local traffic allows. The main point of an emergency response is to attend to the customer in the quickest time possible. Standard locksmiths will simply allocate their next available time and respond when possible, emergency locksmiths choose to respond straight away. Dr Lock does have a team of locksmiths and we provide emergency response locksmith service where possible. Note* If you have a situation that is life threatening call 000 don’t risk a life waiting for a locksmith, only call a locksmith when you are able to wait. Locksmiths do not cause damage when opening the door. 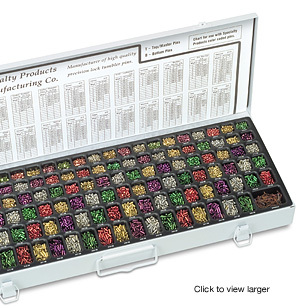 with a wide range of locks and keys. Most mobile locksmith chooses to repair locks and recode locks in their mobile locksmith workshop, other chooses to stand at the back or work at the door itself. 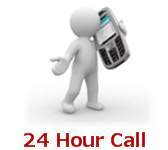 The reason mobile locksmiths are so helpful and useful is that they come to you. It is not easy to remove locks and reinstall locks, and having to find your local locksmith shop to take your lock into can be harder them most people expect. Removing a lock from a door means the door remains unlock or open until the lock is refitted. Mobile locksmith allow the work to be done on site and quickly. 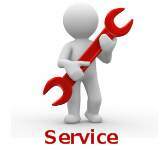 Mobile locksmiths repair your lock problems the easy way. The price of the service call is well worth spending to save time and frustration, most of the other prices for locksmith service on site are the same as a shop and the only difference is the cost of the service call. When you are thinking of adding a new lock or changing an existing lock, you should have this done by a professional locksmith. Locks and keys are the only thing that keeps your doors locked and stops people you don’t want to enter. Having a lock installed by a qualified locksmith gives you reassurance that your new lock will withstand what they were designed to do. Often handyman of DIY people overlook important factors and leave parts or screws out. Leaving parts out or not installing the lock on the strongest point will only make a lock weak. 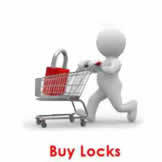 Avoid mistakes and unwanted surprises and have your locks install by Dr Lock professional locksmith service. When you lose a key or you have given a key to a person and you now would like that old key not to work, you can have your current lock re-coded or changed to suit a new key. There is no need to install a new lock just to change the key. Almost all locks can be dismantled and reassembled with a new key configuration that will only work on the new key. 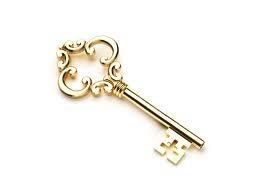 The parts that make the old key will be removed and new parts put in their place in the shape of a new key. Recoding a lock to a new key commonly takes about 15 minutes per lock, sometimes extra if there is obstructions or extra door hardware to remove. The cost of recording your lock is a lot less the installing a new lock often its ? of the price. Keys come in a wide range of colours and shapes. Over the past 100 years keys have changed in many ways. 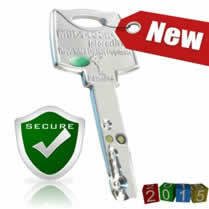 You now can have a key that does not make contact with the lock at all, and records your access on a log file. Keys now have microchips and transponders inside them that send a signal that is compared and checked wirelessly before granting access. There is so many new keys It is hard to know what type of key you have and its often hard to know how to explain the shape and design. We have created a list to give you some point of reference. See this page for more information on keys. If you have a commercial premises or you would like to upgrade your locks to a key that cannot be duplicated and is also harder to have a lock pick open, then restricted keys would be for you. When you issue a key to a friend or employee and you receive that key back, you can be assured that no keys have been duplicated. A design patent covers the custom shape of the restricted key. Not only is the shape unique and not available as a common key blank , it’s also very hard to hand make a duplicate. Because of these reasons key duplication is very hard almost impossible and no other locksmith will duplicate. The only way to have duplicate keys made is by supplying Dr Lock with a letter from the authorising person. The keys will then be sent to the nominated address. We do not allow pick up or drop off of restricted keys. With the large number of computerised cars on the road, key cutting for automotive cars has become a complex task. Since 1997 cars have been fitted with an immobiliser in the head of the key. This immobilized stops the car from starting if the correct code is not reported back to the car’s computer. This all happens in under a second and is all computers controlled. Because of these changes locksmith have now had to cut keys with microchips inside them and also use specialised computers to enrol and program the car to accept the new key. 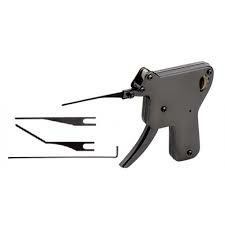 There are a number of new key machines that have now come available that help locksmith perform this task. Not all locksmiths are able to cut keys to cars as they were in the old days, not all locksmiths are able to open cars as well. It depends of the locksmith and their equipment as to what cars they can do and what cars they can not. Dr Lock does have some of the required equipment to make keys to cars and our locksmith are able to open most cars and trucks. Our locksmiths are continually learning new tools and always expanding our list of cars that we service and make keys for. 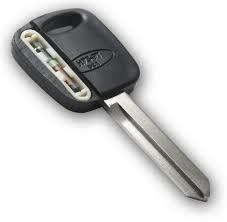 Please call Dr Lock to see if we can help with your car keys needs. If our staff cannot help we can recommend a locksmith that has the correct tools that can help. When you want to protect your belongings or keep a door closed, a lock is the best choice. Locks have been in use for hundreds of years and now locks come in many shapes and different styles depending on their intended use. You can buy a lock for just about anything of value. The latest padlocks that have hit the market this year have a GPS tracker built-in to allow the owner to know when and where the padlock is and when it’s being used. 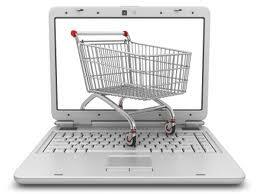 We have a large selection of lock in our online lock shop that is for sale. If you need help finding a lock simply email our staff and if the lock is available to us we will track it down for you. Our locksmith install all kinds of locks as well, so if you need a new lock or a lock repaired our locksmith are very capable of helping you with your lock requirements. Over the past 3 years mailbox locks have been targeted as an easy way to steal mail and commit crimes, over the past 30 years the standard mailbox lock has been used and most people are not aware their lock can easily be opened using a master-key or picking the lock, and sometimes having a key made. 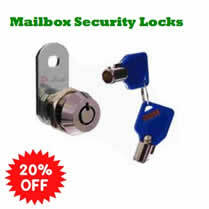 The standard mailbox locks offer low security and can be easily broken into in 3 ways. Dr Lock has been installing security mailbox locks for the past 3 years, Our locksmith have installed security mailbox locks on a number of different mailbox complexes and since than the owners have had no trouble burglars opening their mailbox because of the low security lock. 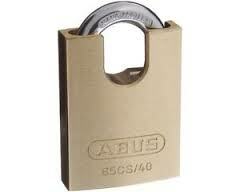 Dr Lock has also been seen on channel 10 news explaining the risks of using the standard locks. Many others have tried to install security locks but often are confronted with problems when installing the locks. Dr Lock has a special machine to custom make some of the parts needed when installing this lock, but most of all we use a reliable lock that has better quality then most on the market. This is why our locksmiths have continued to supply and install security mailbox locks and have been the preferred choice by strata manages and real estate agents. Most people know that its hard and time-consuming to find what you are looking for these days, with the power of the internet, it allows you to find what you need with a quick Google search. So with this in mind, having a retail shop in a shopping center to sell lock parts and keys would not be a wise idea, most of all it would be non profitable with the cost of rent and power and employees on the rise. The only way that a comprehensive locksmith shop can operate and give customers access to all lock parts big and small and regardless of profit margin is by having an online lock shop. Dr Lock locksmiths have taken the time to list detailed information about every product as well as instruction videos to help. We have also dropped most of our prices to almost cost price because our lock shop is a service that helps our customers. If you do not need the help of a mobile locksmith and you just want to buy a lock or lock part and do it yourself, you can simply buy from our online lock shop and DIY. Please forward all inquires by email for our lock shop, as our locksmiths do not have the time to answer phone inquires. A locksmith specialist can come in handy in many emergency situations.